Kenya’s Fatuma Zarika overcame Tanzania’s Grace Kamele in super 7 non-title match at the Charter Hall on Saturday evening.The Kenyan boxer who has been training at the Ruarai Gym in Nyama Kima, Nairobi said this was a great fight and she looks forward to more bouts this season. “This is part of the East and Central Africa Professional Boxing Championship,” she said. “The judges awarded me 50, 57 and 59 points and to me that was a good score given that my opponent was equally good.” She added. The boxer who is coached by coach Julius Odhiambo added she was happy to erase unpleasant unfair defeat she suffered at the hands of Delfine Persoon at Sporthal Schiervelde, in West-Vlaanderen, Belgium on February 23. 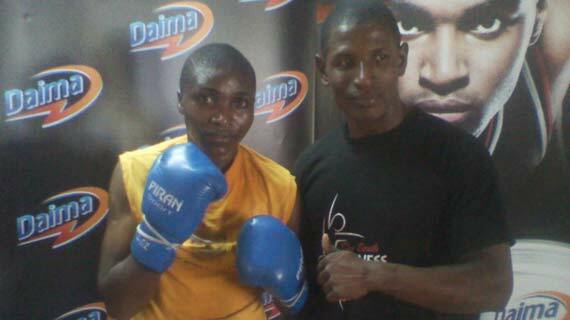 Fatuma,the most celebrated Kenyan female pugilist after Conjestina Achieng', has won 23 (14KOs) fights, lost 7 and drawn once in 31 pro-boxing outings.